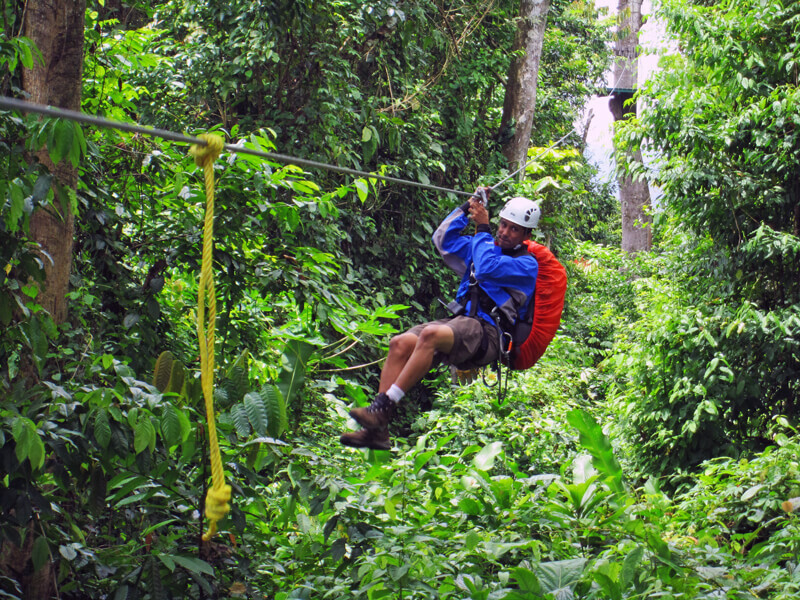 Costa Rica Canopy Tours, fly through the air on ziplines, that go from platform to platforms through the amazing trees and jungle in this rainforest area! 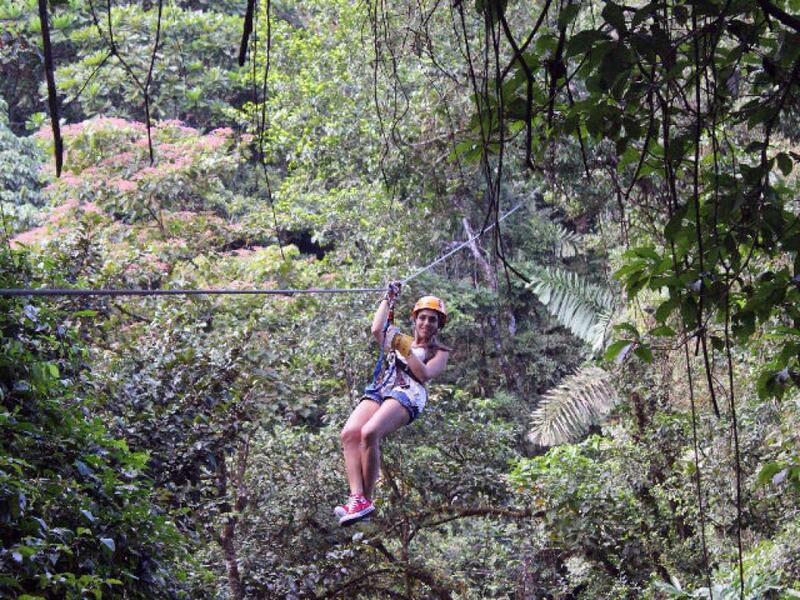 You can´t help have fun on this safe adventure tour and enjoy the breath-taking scenery at Parque Vista. 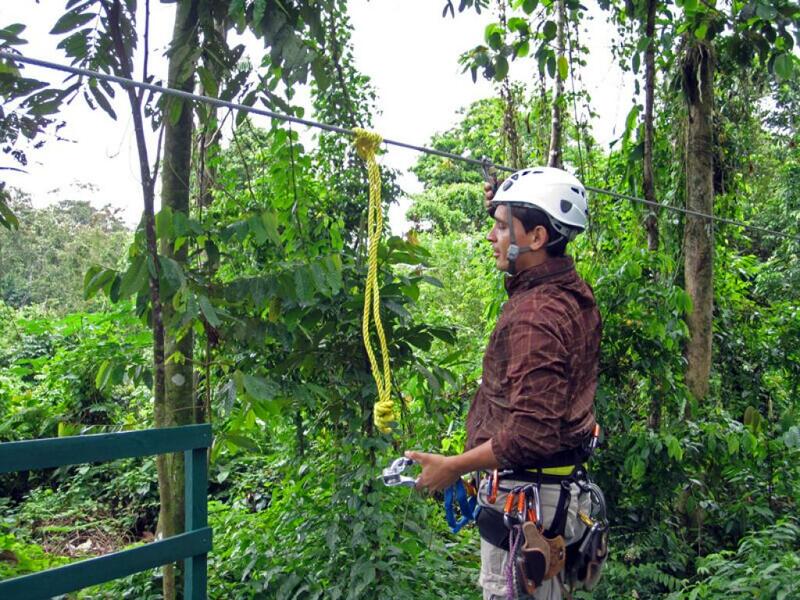 Arenal Vista Canopy Tour is a popular canopy tour in the Arenal Volcano area. 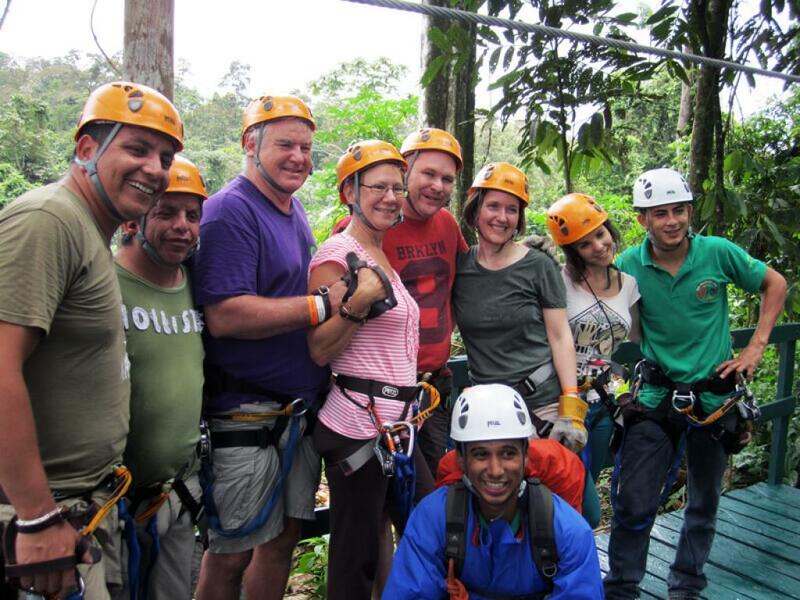 This fun adventure is for all the family as you are pretty well strapped in - so anyone can do it! 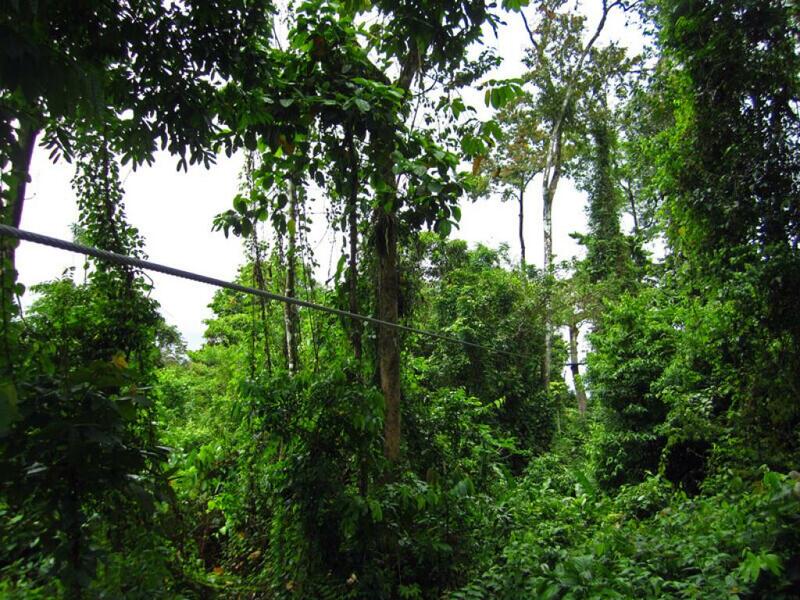 You will have some warm up ropes and if you get scared a guide will take you across. 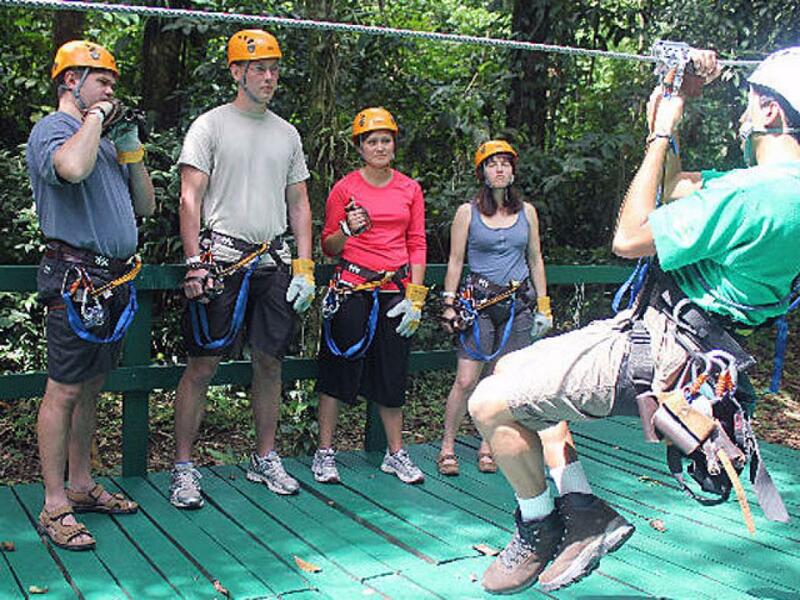 The guides not only help with the ziplines but they can also point out views, trees and wildlife along your hikes, between the platforms. 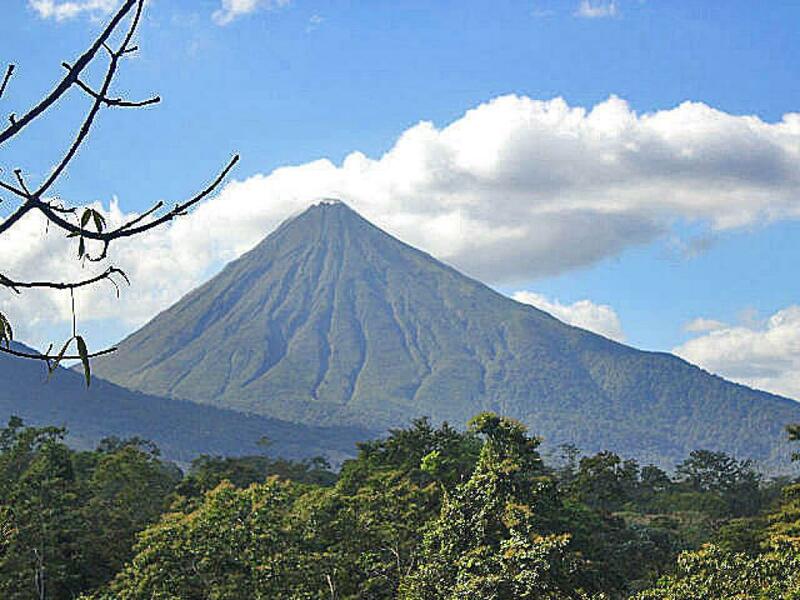 You will be able to take great video and pictures in the pretty area, located on the opposite side of the volcano away from all of the resorts. 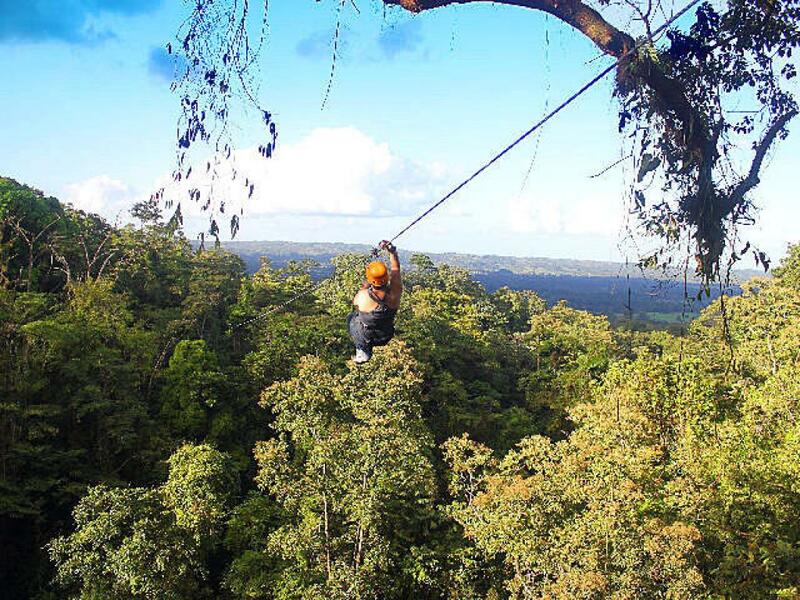 There will be time to take photos as you pause from zipping from tree to tree, from the wooden platforms that are built around the trees. There are 12 zip lines with the longest at about 800 meters so you can really pick up speed. After the tour you can enjoy fresh, juicy pineapple before being dropped back off at your hotel. Recommended for Children Ages 4 and older. The fields in red are requiered. Exact pick up times on confirmation. Min 2 people, check if ok for 1 person..
Hotels not in pick up zones have extra charges and some tours do not include transport, please check with us.